LWP2110 is a next generation enterprise grade IP phone that features 4 lines, a large 240×120 backlit graphical LCD, 3 XML programmable context-sensitive soft keys, 18 XML programmable BLF extension keys, dual network ports with integrated PoE, and 5-way conference. The LWP2110 delivers superior HD audio quality, rich and leading edge telephony features, personalized information and customizable application service, advanced security protection for privacy. 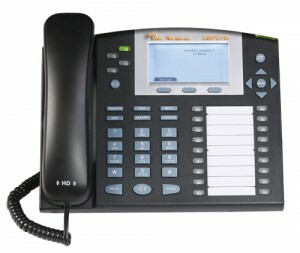 It is a perfect choice for enterprise users looking for a high quality, feature rich multi-line IP phone with numerous extension keys. Automated personal information service (e.g., local weather, stock, currencies, RSS news, etc), personalized music ring tone/ring back tone/music-on-hold. Advanced Functionality Multi-line support, multi-party conferencing (5-way), multi-language support (MLS), headset enabled, expandable, intercom, AES encryption, etc.